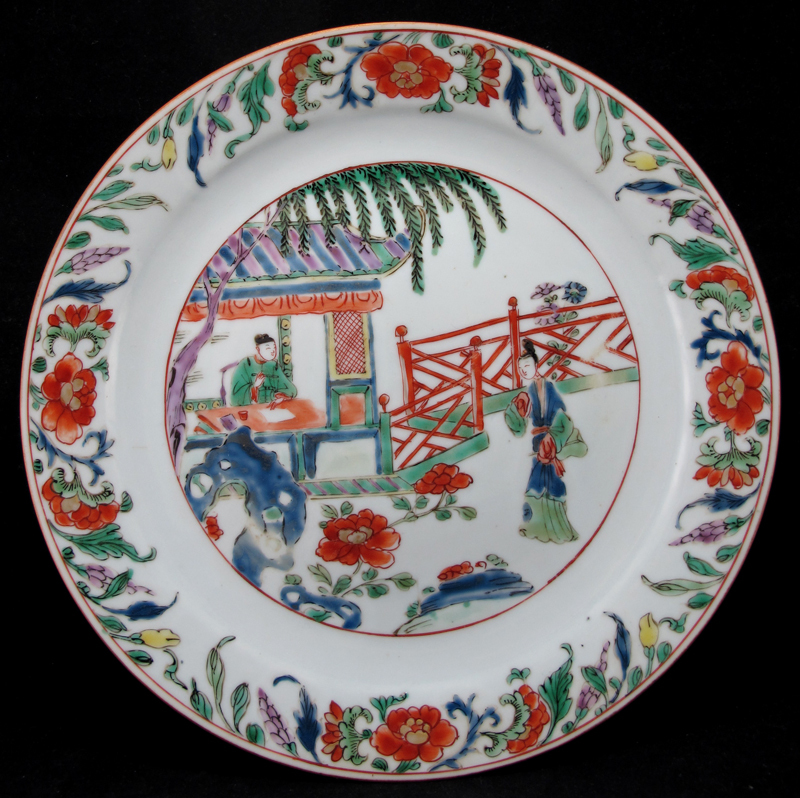 Illustrations of “Romance of the Western Chamber” can be frequently found on early 18th century Chinese export porcelain, indicating the pattern and style was extremely popular with European consumers. 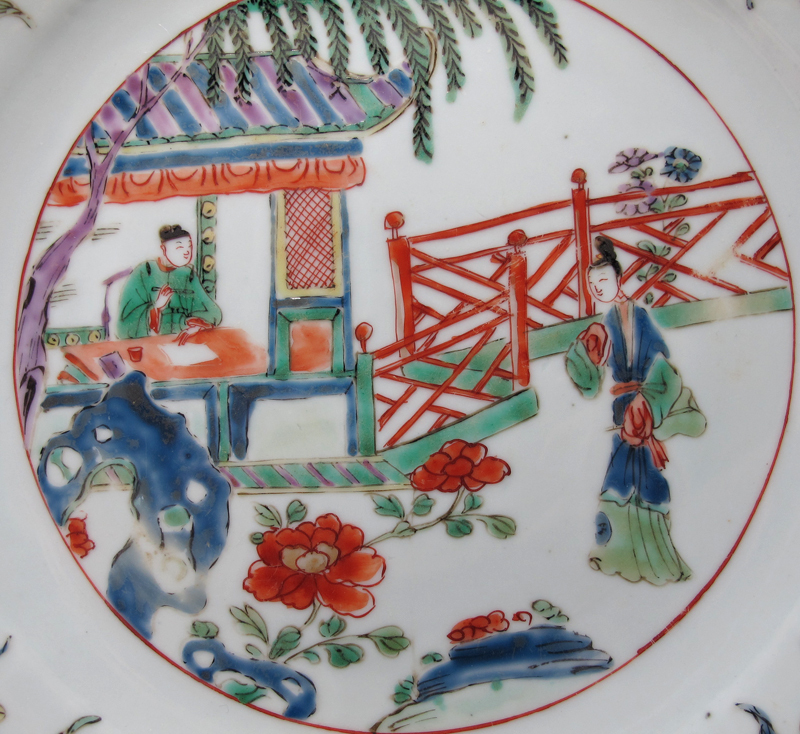 The late Baroque era favored naive and florid portrayals young romantic love, and thus images of the forbidden courtship between Zhang Sheng and Cui Yingying likely stimulated European interest and sympathy. 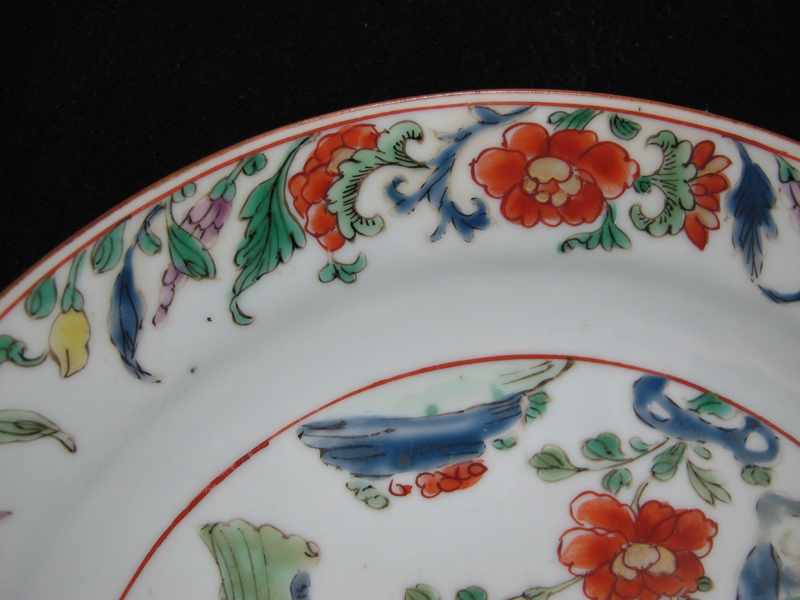 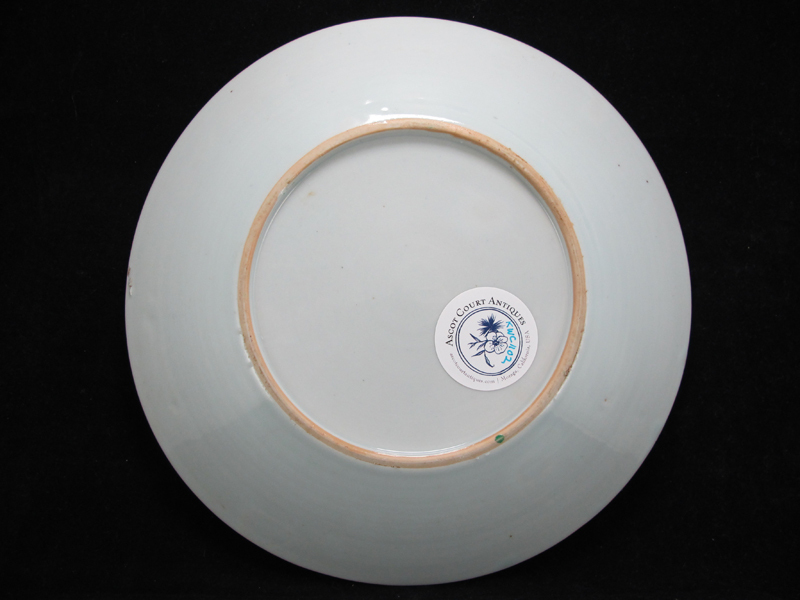 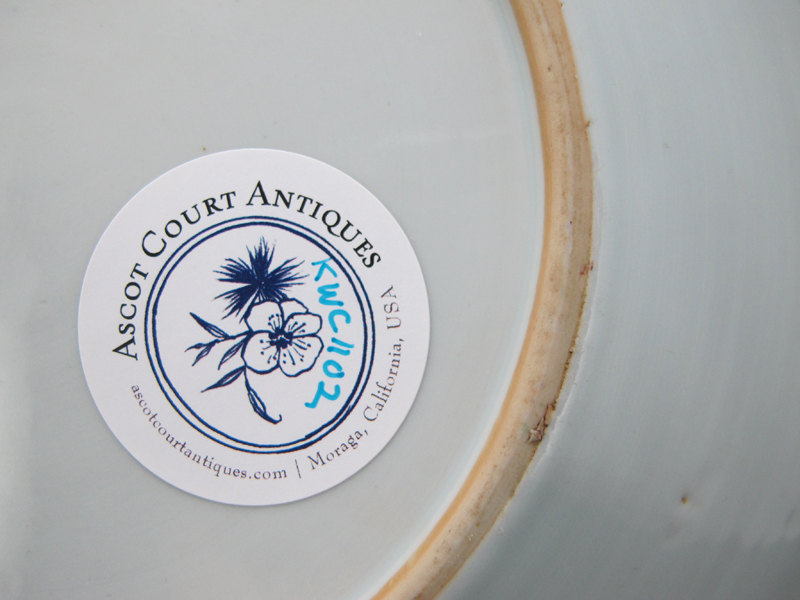 The asymmetrical, ornate flourishes to this plate’s floral border also hints Rococo influences.